Comedian couple Sitaram Kattel (aka Dhurmus, the stage character he assumes) and Kunjana Ghimire (aka Suntali, her stage character), household names in their homeland Nepal, were on a carefree tour of the United States for 27 shows when the April 25, 2015 earthquake struck. They cut short their visit, forgoing what would have been a rewarding and remunerative experience: as it was, they had initially planned for only 10 shows, but the overwhelming response wherever they went – Virginia, California, Texas – had made them agree to 17 more. But they could not have continued: the heartrending images of wailing Nepalese, homes destroyed, drew them back home. 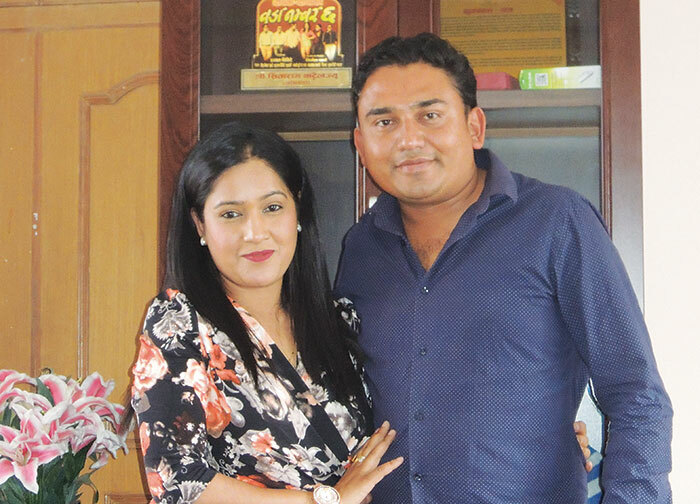 Today, the couple (pictured here at their home) is doubly known across the Himalayan nation: their 30-minute weekly show on TV, Meri Bassai (Oh My God), commands an enviable viewership; also, they are known for having built houses for about 800 people who lost their homes to the 7.8 Richter temblor. The Nepal government, hard pressed as it was, had come under much criticism for tardiness in its relief efforts. 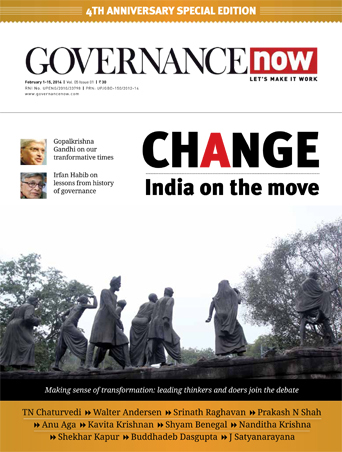 What’s more, NGOs and international agencies had found their efforts stymied by government procedure. Earthquake victims were left to fend for themselves. In fact, many of them still live in makeshift homes. Sample these figures. According to Nepal’s National Reconstruction Authority (NRA), only 22,000 out of the total number of 7,50,000 houses damaged during the quake have been reconstructed in two years. Another 46,000 are under construction. Bhishma Kumar Bhusal, undersecretary at the NRA, told this correspondent in Kathmandu that rebuilding the houses poses the biggest challenge as there aren’t enough engineers. It’s in this context that private effort – such as that undertaken by Kattel and Ghimire – stands out. The couple, once sanitation ambassadors of the Nepal government, have been made goodwill ambassadors by the NRA. The comedian couple began work in Kavrepalanchowk, about four hours’ drive from Kathmandu. The roads from Saraswati Bazaar to the Pahari Namuna Basti in Kavre are not motorable, and the steep drive on gravel road and mud tracks even in a sturdy Scorpio seems life-threatening. The locals insist that this drive is not as difficult as in some other places. Sitting in their office in Old Baneshwor in Kathmandu, the couple, speaking mostly in Nepali, explained that their first task was to mobilise funds by appealing to the public through a press conference and on social media. They managed to raise 47.5 lakh Nepalese rupees, to which they added 19 lakh rupees of their own. Leaving their 11-month daughter with close relatives, they set out for Karve to begin in earnest. Kunjana’s mother, who lives in Lalitpur, joined work at the project site despite suffering a fracture. With help from the community, friends and a dedicated team of 50 masons, carpenters, plumbers, electricians and painters, they constructed 20 eco-friendly, quake-resistant houses with toilets, taps and gardens in record 77 days for the Pahari or hill people in Kavre. 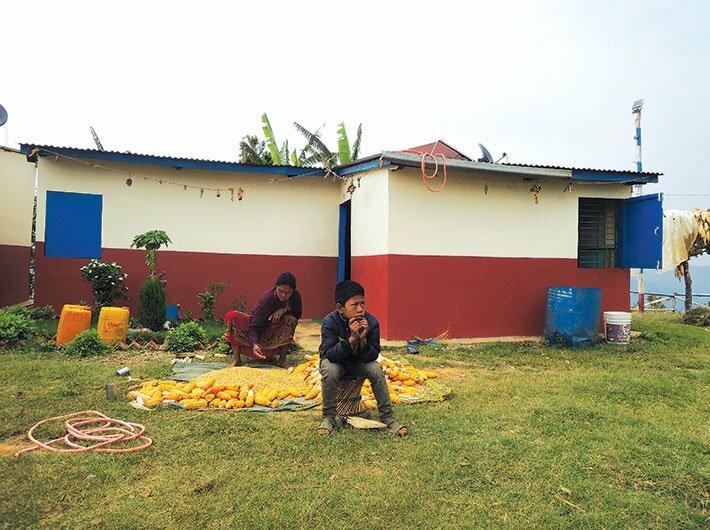 Encouraged by their success, they undertook a second project in January 2016, of 66 houses for the Tamang, a tribal community in Giranchour in Sindhupalchouk, by raising 6.18 crore rupees from the public in Nepal and international contributors. Sindhupalchouk district had recorded the maximum number of deaths and enormous devastation in the quake. They finished building these houses in six months. 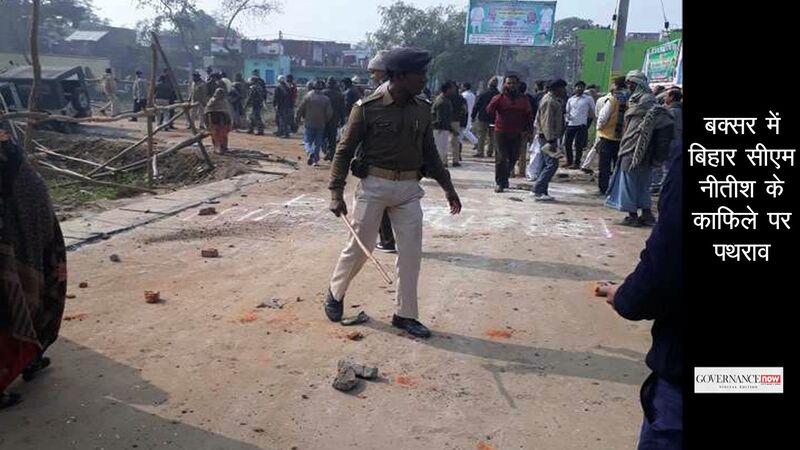 The third project of 53 houses in Mahottari, in the Terai region, for the much marginalised Mushahar community became possible with another 6 crore rupees raised from the public and $2,00,000 from the Association of Nepalese in Minnesota. Prakash Koirala, a Qatar-based entrepreneur, donated and 40 lakh rupees. This project was completed in 95 days flat. The couple also organised the construction of 60 toilets in different places and reconstructed a seven-room government secondary school in Thulochitre village in Nuwakot which was completely destroyed. Saroj Khatri, who looks after administrative and finance matters for the Dhurmus Suntali Foundation, set up after the quake, says, “Raising funds anywhere in the world is not easy; it’s all the more so in Nepal, which is a poor country and where the poor are unable to have even two square meals a day. Water and electricity supply was a big problem.” Kathmandu itself was getting only two hours’ water supply in a week, so the affairs in far-flung, high-altitude villages like Kavre and Sindhupalchauk could be imagined. Saroj says that the foundation does not have much money but it proved that good team work and dogged determination can work wonders in achieving targets. True enough, the pace at which the foundation completed work and handed over the houses to the needy speaks volumes of their resolve. Constructing 20 houses in 77 days in Namuna Pahari Basti in Kavre works out to each house being made in 96 hours flat. It’s not for nothing some of the poor in Nepal think of them as angels. “They have succeeded where the government has failed,” says a shy young benefactor in Karve who would never have dreamt of living in a well constructed two-room house with a tiled bathroom atop a hill. Asked how they managed to construct houses so fast, Kattel says, “Maybe everybody is working, but I could say our determination and will power was high.” The actors say they are not sure if their counterparts in India’s film industry are aware of their need for funds to rehabilitate more quake-affected people but they certainly want to do more for the nation. “If we get some support from the government or international or individual donors, we would like to build this kind of settlement in all districts and reach out to all those people who need help. We are open to reconstructing schools and heritage sites as well provided we have enough funds,” they say.